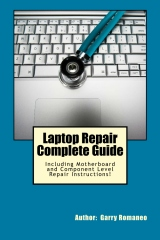 Laptop Repair Complete Guide; Including Motherboard Component Level Repairing Instructions ! Author of the Book: World's First Complete Guide To Laptop Repair,WorldWide Ebay Seller Of: DIY Laptop Repair Online Interactive Guide, and Expert Laptop Repair Technician of 21 years. 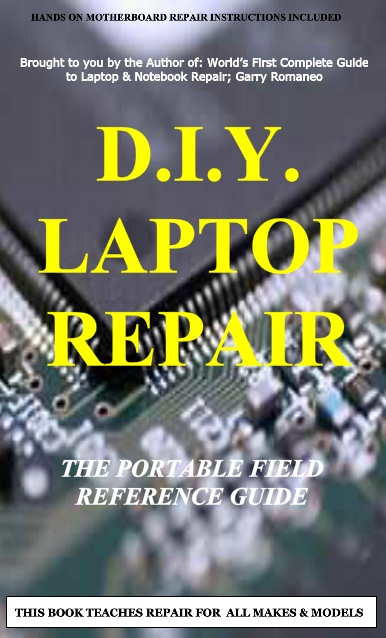 This book will educate you on the Correct Process of Repairing The Entire Laptop, Including and concentrating more on Motherboard Repair Instruction, Screen Repairing, Component Level Diagnosing and Repairing. 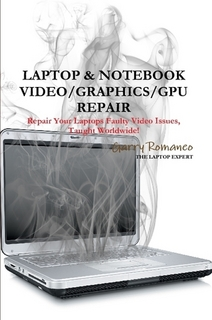 This is the 3rd Book Released By Author Garry Romaneo, The Worlds Leading Laptop Repair Technician, Author, and Consultant. The book will take you through the laptops disassembly process, Explaining in detail how to disassemble all laptops. You will then be taught all about Liquid Spills to Laptops. What to do, What not to do, How to Remove Liquid and How To Repair Any Damage from Liquid to parts or components. You will be shown all the various tools to be used in laptop repair both hand tools and electronic tools explained. This book will then explain the entire upper end repairing techniques. 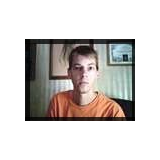 Replacing screens - how to- then it will show you in great detail how to disassembly the screen and repair or replace the LCD ccfl Bulb, the book will also discuss LED screens. You will be taught step by step how to solder a motherboard whether it is the components or the dc jack. The DC Jack Repair/Desoldering instructions are included. 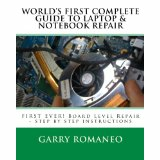 Most importantly, this book will teach you laptop motherboard repairing techniques. Learn to identify the parts and components on the motherboard, learn component replacement, motherboard testing techniques and more. This book also includes the authors Patented/Copyrighted and Trademarked Laptop Video Chip/GPU Motherboard Online Repair instruction. There is alot more included (Part Identification, Hard Drive Failure Issues etc...)so check it out now. Going Above And Beyond CompTia A+ Certification !! !